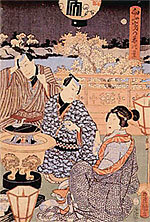 The museum exhibits much material concerning sake brewing in the Edo, Meiji, and Showa Periods and the history of the Ishikawa family and beer making. 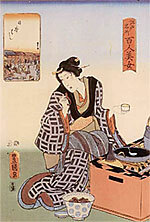 For example, the beer recipe, bottles, and labels used in 1887 are displayed, and the relationship between the people in the local villages and the Tama River is also illustrated. Hours: 11:30 a.m. to 9:00 p.m.